Ariel Blumenkranc joined Advent in 2012 and is currently a Director in the Mexico City office. He leads investments in the healthcare and financial and business services spaces in the country and is part of the regional team covering those sectors. Ariel participated in several investments including those made at Grupo Financiero Mifel, Afore Invercap and Grupo Farmaceutico Somar, and he currently serves as a Board Member in these companies. Prior to joining Advent, he worked in Morgan Stanley's in its Investment Banking Division in New York covering financial institutions across Latin America. Previously, he worked as a consultant at McKinsey & Company in a variety of sectors across Latin America and Spain. Ariel holds a BS in Business Economics from Torcuato Di Tella University, where he was valedictorian of his graduating class, and an MBA from Harvard Business School. Francisco de Rosenzweig is a Partner at White & Case and Head of the Firm's Energy, Infrastructure, Project and Asset Finance Group. He advises domestic and international clients on major corporate and financing transactions. His practice has a particular focus on project and asset-based financing, enabling the successful development, funding and completion of large scale projects and deals. Mr. de Rosenzweig is a former Mexican federal government official and has held many different positions in the public sector. His substantial experience in the infrastructure, energy and transport sectors is a valuable asset to our clients, many of which are increasingly attracted to Mexico following the introduction and implementation of energy reforms. Francisco de Rosenzweig served for over five years as the deputy minister of foreign trade at the Ministry of the Economy (2011-2016), where he led Mexico's international trade negotiations on issues such as the Trans-Pacific Partnership and The Pacific Alliance Trade Initiative, among others and represented Mexico's interests before the World Trade Organization. He has also served as chief of staff to the minister at the Ministry of Communications and Transport, general counsel for public expenditure at the Ministry of Finance, executive secretary at the Inter-Ministerial Commission for Public Expenditure, Financing and Privatization; general counsel of the Energy Regulatory Commission and general director of the Electric Restructuring Unit of the Commission. He is the author of more than forty-five articles, and speaker in several national and international conferences related to the energy sector and international trade. 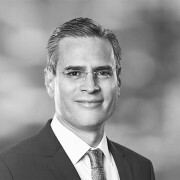 Ricardo Enríquez is a Managing Director of Glisco Partners (formerly Evercore Mexico Capital Partners, the Private Equity manager of Evercore Mexico). Glisco Partners currently has over $450 million of assets under management distributed in four funds. Mr. Enriquez began his career at Protego in Mexico in 2002 working as an analyst in the Investment Advisory Group, where he collaborated in several projects in the housing and financial services industries. He then participated in Discovery Americas I, Protego’s first private equity fund, where he analyzed investment opportunities in the higher education, healthcare and housing industries. 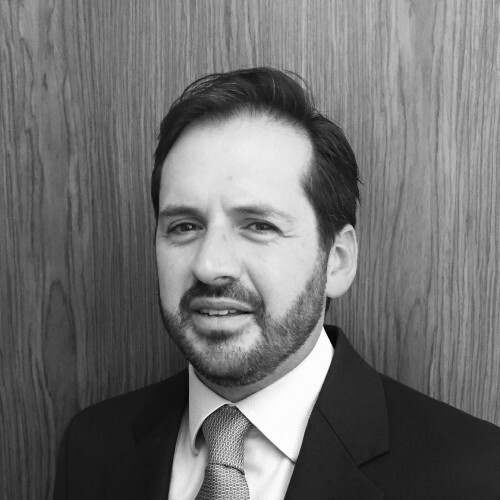 Mr. Enriquez joined Evercore Mexico Capital Partners after completing his graduate studies in 2010. He has since participated in several entry and exit transactions and on the active monitoring of several portfolio companies. He also participated in the spin-off transaction of Glisco Partners from Evercore. Mr. Enríquez is a professor of Industrial Organization at Instituto Tecnológico Autónomo de México (ITAM). Mr. Enríquez holds a B.A. in Economics from ITAM and a Ph.D. in Economics from Harvard University. 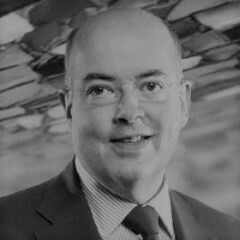 Bruno Ferrari is Managing Partner and Head of Latin American operations of Cross Finanz, with 40 years of experience in Mergers and Acquisitions, Corporate Finance and Business Development in Europe, Japan and Latin America. 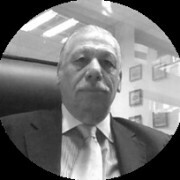 Prior to joining Cross Finanz Mr. Ferrari spent more than 30 years working for international financial institutions including Sanwa Bank, Nomura Securities, BCBA Bank, International Bank of Albania, Banco BICE, and NBCh in different positions from Trade Finance Officer to Chairman of the Board, in Milan, Vienna, Madrid, Paris, Zurich, Tokyo, Koln, Sao Paulo, Los Angeles, Tirana and Buenos Aires. He served for over five years at the Investment Promotion Service of the United Nations Industrial Development Organization and was in charge of the Global Multisector Credit Program of the joint Japan Eximbank and IBD programme to support the Argentina´s productive system by facilitating medium and long term credit. He also was the Deputy Director of Foreign Investments, Chief of Staff of the Privatization Unit and Deputy Director of the Capital Market Development in the World Bank-Argentina´s Ministry of Economy joint Programme. 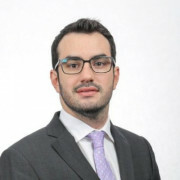 Mr. Ferrari holds a BA degree from UABJ in Mexico and a Postgraduate in international banking and finance from the Japan Center of International Finance in Tokyo. Mr. Fischman studied Business Administration and graduated valedictorian from Universidad Iberoamericana, He holds a Master's degree in Infrastructure from New York University and two postgraduate degrees in Money Market Finance and Derivatives from ITAM. Antonio Garza serves as Counsel in the Mexico City office of White & Case LLP, one of the world's leading global law firms. Additionally, Ambassador Garza is Chairman of Vianovo Ventures, a management consultancy with a focus on cross-border business development. Drawing on decades of high-profile political, legal and business experience, Ambassador Garza serves as a counselor to CEOs, investors and entrepreneurs. He is recognized for his knowledge of US-Mexico relations and of the business and political environments of both nations. Ambassador Garza currently serves as a director of Kansas City Southern (NYSE: KSU), a rail-based transportation company and is Chairman of its Mexican subsidiary Kansas City Southern de México (KCSM), and MoneyGram (NYSE: MGI), a global money transfer company. Additionally, Mr. Garza serves as independent director to Grupo ODH, a privately held Luxemburg domiciled holding company, focused on the ultra-deep water drilling industry in Mexico. Ambassador Garza formerly served on the boards of BBVA Compass and the US holding companies of BBVA (NYSE: BBVA). Garza is a member of the Board of Trustees of Southern Methodist University and the Development Board of The University of Texas at Austin, and currently Chairman of Texas Exes, the University's alumni association and amongst the largest organizations of its type in the country. Additionally, Mr. Garza is a Director at the Council of the Americas/Americas Society and a member of the Council on Foreign Relations. He is a past recipient of the Aguila Azteca or Aztec Eagle, the Mexican government's highest honor bestowed upon a foreign national. From 2002 to 2009, Mr. Garza was the US Ambassador to Mexico. Prior to that time, Garza served as chairman of the Railroad Commission of Texas, first elected to statewide office in 1998. Mr. Garza was formerly a partner at Bracewell & Patterson (now Bracewell) and served as Secretary of State of the State of Texas and Senior Policy Advisor to the Governor of the State of Texas from 1994 to 1997, and prior to that as Cameron County Judge from 1988 to 1994. Ambassador Garza holds a BBA from The University of Texas at Austin and a Doctor of Jurisprudence from Southern Methodist University School of Law and has been honored as a distinguished alumnus at both institutions. He is a member of the State Bar of Texas and the District of Columbia Bar, and is admitted to practice before the United States Supreme Court. Olivier es Socio Director del equipo de Asesoría en Transacciones de EY México y Centroamérica. Sus principales áreas de experiencia son: petróleo y gas, energía, telecomunicaciones, retail y tecnología. Fue Socio de EY Francia, donde se desempeñó como Socio de Asesoría en Transacciones y también dirigió al equipo de asesoría en venta. Olivier ha liderado diversas transacciones para corporativos y fondos de capital privado en los últimos 15 años y tiene una amplia experiencia en el proceso transaccional. Olivier se graduó de la HEC School of Management de París y del Instituto Internacional de Negocios de la Escuela de Economía de Estocolmo. Ing. Andrei Lepiavka acts as Director at ZIMMA Corpororate Finance, an investment banking boutique that among other services, provides financial advisory to mid-cap companies in mergers and acquisitions, debt and equity raising, financial restructurings and fairness opinions. Andrei started his career in the financial arena since 2008, working in the Investment Banking and Principal Investments team at Bank of America Merrill Lynch with a focus on structured notes called “Certificados de Capital de Desarrollo” CKDs, equity and debt raising and financial restructurings. 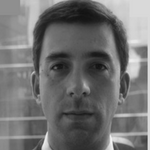 Thereafter, Andrei collaborated in the corporate finance team for Johnson & Johnson in Mexico and New York offices. 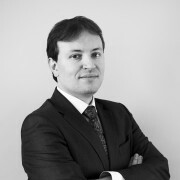 Andrei holds an Industrial Engineering degree from Universidad Iberoamericana (2008) and has an MBA from Duke University – Fuqua School of Business (2014). Ing. 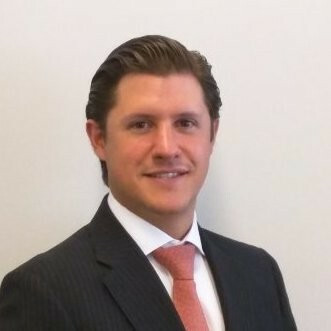 Andrei Lepiavka es Director de ZIMMA Corporate Finance, firma de banca de inversión que brinda asesoría en transacciones de fusiones y adquisiciones, levantamiento de capital y deuda y reestructuras financieras en el mercado medio en México. Andrei comenzó su carrera en el sector financiero en el 2008 trabajando en el área de Banca de Inversión y Principal Investments en Bank of America Merrill Lynch con un enfoque en el levantamiento de Certificados de Capital de Desarrollo CKDs, levantamiento de capital y deuda y reestructuras financieras. Posteriormente colaboró para Johnson & Johnson en finanzas corporativas en la Ciudad de México y Nueva York. Andrei es Ingeniero Industrial de la Universidad Iberoamericana (2008) y cuenta con un MBA de Duke University – Fuqua School of Business (2014). Victor Mendoza is a VP at Evercore Mexico in the investment banking team, advising private and public companies in capital raising and M&A across different industries. He previously worked at Sociedad Hipotecaria Federal as VP of Structured Financing and started his career in SURA Investment Management as an alternative investments and corporate credit analyst. Victor holds a B.A. in Financial Management from Tecnológico de Monterrey (ITESM) and a Masters in Finance from London Business School (LBS). Mr. Ramírez has been Chief Financial Officer of FibraShop since July 2013. 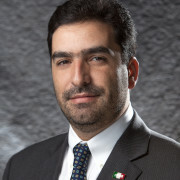 He has over 20 years of experience in the Mexican financial industry, both in the public and private financial sector. He previously served as Chief Executive Officer of the National Fund for Workers Consumption (Instituto del Fondo Nacional para el Consumo de los Trabajadores) (Instituto Fonacot) a federal government agency dedicated to granting consumer credit. He also worked as Vice President- Finance of the National Commission for Retirement Savings System (Comisión Nacional del Sistema de Ahorro para el Retiro) (CONSAR), where he was responsible for the regulation and supervision of AFOREs, or Mexican pension funds and acted as Special Project Director in the National Banking and Securities Commission (Comisión Nacional Bancaria y de Valores) where he contributed to the design and implementation of regulations for financial institutions (rules of capital, risk management, among others). Mr. Ramírez holds a bachelor’s degree in Actuary Studies from Instituto Tecnológico Autónomo de México (“ITAM”) and a master’s degree in finance also from ITAM. Felipe Bueno is a Senior Director with more than 35 years of experience in mergers and acquisitions, business development, and general corporate advisory in Mexico and Latin America. 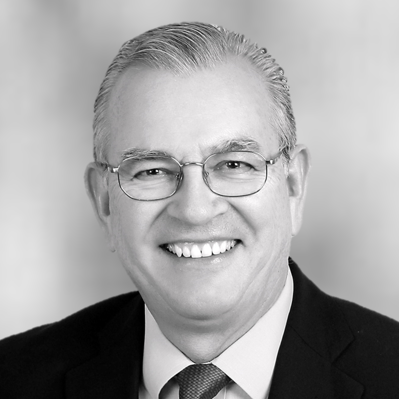 Prior to joining Seale & Associates, Mr. Bueno spent more than 30 years with Grupo Industrial Saltillo (GIS), a leading Mexican diversified industrial group with holdings in metal foundries, building products, and housewares. Mr. Bueno held various strategic planning positions at GIS, including: Director of Corporate Development; New Business Director – Cifunsa (iron foundry); and Commercial Director – Vitromex (wall and floor tiles). Mr. Bueno received an Industrial Engineering degree and an M.B.A. from the Instituto Tecnologico y de Estudios Superiores de Monterrey (ITESM) in Monterrey, Mexico. Juan Pablo Visoso, Managing Partner and General Counsel joined Nexxus in 2008 and has more than 17 years of experience in private equity, finance and corporate law. Mr. Visoso is actively involved in investment and divestments, including initial public offerings, by funds managed by Nexxus. He also participates in the analysis of investment prospectuses and management of the firm’s portfolio companies. He sits on the Boards of Traxión, Harmon Hall, Price Travel and Immunotec, among other. 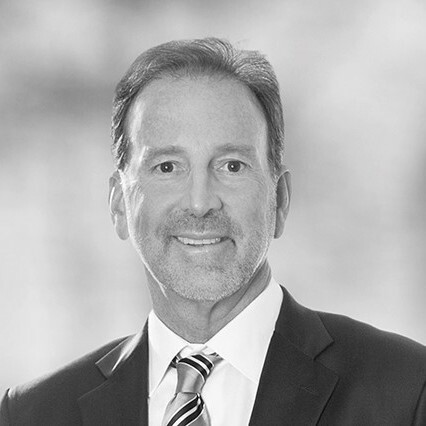 Prior to joining Nexxus, Mr. Visoso was Senior Associate in the Mexico office of White & Case LLP. He has a degree in law from the Escuela Libre de Derecho and an MBA from the University of Texas at Austin (McCombs School of Business).